You say these are five books that have influenced your view of progress. The first three books have very much influenced my thinking about the politics of a new liberal, social democratic fusion. It’s a fascination with human nature, but then an interest in what makes societies tick, so as to look behind short-term public policy. The Progressive Dilemma is a really important book to me because it’s all about the tension between two models of progressivism: the Fabian state-focused model of reform on the one hand and the bottom-up, empowering, moral model of reform advocated by New Liberals like T H Green and L T Hobhouse. What Marquand does in this book is to show that dilemma between statist reform and bottom-up reform, mainly through the prism of a whole set of people’s lives, including individual politicians – he touches on David Owen, for example. So it’s a collection of essays, really, but each essay returns to this recurrent theme. 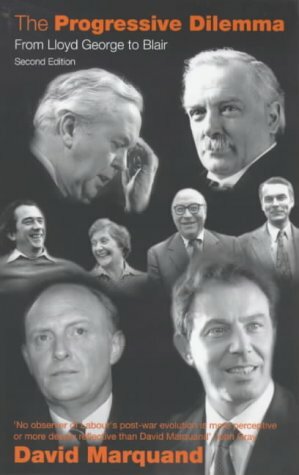 There is a group of people on the centre left – including myself and David Miliband, who also talks a lot about this book – who have always seen our politics as being about trying to reunite those two strands and who have despaired, really, of the kind of statism that is still dominant in the Labour Party and was part of its undoing when it was in power. And that battle is still to be won. It has not been won at all. Furthermore, some Liberals clearly now think that their model of an empowering progressive agenda may be better met by working with the Conservatives. They are attracted to the notions of David Cameron’s ‘big society’, they are attracted to the fact that the Conservatives are doing the right things on surveillance and civil liberties, on scrapping ID cards and scrapping targets. This is a fascinating time because the government has without question already dismantled a lot of state control. When Labour was in government they assumed that you had to have all that state control because people wanted to know public services were being driven forward, so they wanted targets and reassurance about whether public spending was achieving outcomes, and they were very worried about crime and terrorism, so they wanted ID cards and those kind of things. So where do we look for progress in the absence of Marquand’s progressive reunion? 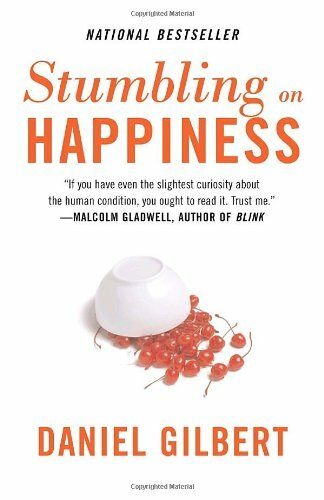 My second choice is called Stumbling on Happiness, by a guy called Dan Gilbert. I just read this out of the blue but it really got me excited about where human nature, neuroscience, behavioural economics and psychology meet. For a lot of people it was Nudge or Freakonomics that got them interested in that debate, but for me it was this, which is a beautifully written book. It shows that human beings are very bad at predicting what will make them happy, and, in fact, are even bad at describing what has made them happy in the past. So it is all about our cognitive frailties. The other book that is really good in that space is The Happiness Hypothesis by Jonathan Haidt. In my last RSA annual lecture, I talked about how we really need people to understand what actually makes them happy, to understand that their desires are not the same as their needs, and that their appetites are not the same as their satisfactions. It’s a difficult argument because it can sound authoritarian or paternalistic but it is true. We are just not that good at knowing what is going to make us happy: I have made lots of mistakes in my life and so part of this is quite visceral for me. I wish I had known more about the real sources of contentment earlier. Isn’t this argument a bit contentious, because everyone has to discover these things for themselves? You can say, for example, that buying stuff won’t make you happy for more than a few weeks, but what makes you happy is the way you feel about yourself, having hobbies and pastimes that you enjoy, friends that you enjoy. I also think that there are now lessons for all of us here about relationships. I think there are a series of big insights into the mistakes that people make and the way in which they manage their lives and their long-term relationships. Another book that influenced me a few years ago was by Sylvia Ann Hewlett called Baby Hunger – now this is really difficult territory. It was about how women put off having children and they comfort themselves by saying, ‘Oh the fertility treatment will be fine.’ They think that it will be OK to make a decision in their 40s, and then they are shocked to find that the success rate isn’t very high, and they end up not having children and feeling very miserable about it – feeling that they never really made that choice, but that it was a structured non-choice. Arguably you should say to women that it’s much more fun to have children when you are younger because you’ve got more energy. Also, because our health and lifespan is much better, if you have children in your mid-20s then they are more or less self-sufficient by your mid-30s and you are still young enough to go out and have a party and a new career and have a great life. You are still young at 35. Instead, middle-class women who have a choice are encouraged to wait, but then they wait till they are in their mid-30s or later when it is all quite exhausting. And then of course it is also much worse for your career, because if you do take time out it is much harder to start again. The other thing is to realise it is worth sticking with relationships even when you think they are going wrong – because the short-term benefits you might get from a relationship ending, well, you be careful about that! Being alone is really, really bad for you. The price you pay for ending a long-term relationship is very high, so spend a bit more time at the beginning trying to get it right, try to recognise what it is that really makes a relationship work. Then once you have made a decision, try to stick with it. Now, in saying all those things I’m not calling for government to do anything, I’m not calling for shrill morality. I’m saying just explain to people what works and what doesn’t work so that they can make decisions that are more thoughtful. But there are other factors to consider as well, like the fact that we move around all the time when probably moving around is not very good for us. It is probably better to stay in one community if you can. Move around when you’re young, but actually it is probably quite important for children to grow up in one place. A whole lot of things that you learn from reading this literature have made us more thoughtful and possibly enable us to make better decisions. But are these autonomous choices? Your example of women putting off children, for example, is often much more complicated than a single actor making decisions. Because the evidence is that if people split up without acrimony and they arrange things so that it is not inconvenient for the kids, it doesn’t have to do any harm at all. It is the acrimony and the turmoil that causes the problem. Helen Wilkinson was roundly attacked at the time but I’m not sure it is such a bad idea. Maybe these things are happening anyway, in gay relationships as well, that people are having children in the context of a relationship that is specifically about having those children. Your third book is more recent. David Halpern was a colleague of mine in Number 10 (now back in Downing Street advising David Cameron) and I admire him very greatly. 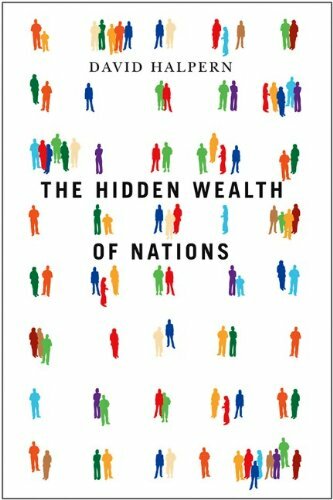 Hidden Wealth of Nations is a lovely book. David is one of these people who loves statistics and it is full of fascinating angles on why it is that some societies seem to have higher levels of happiness, compassion, caring, volunteering, and on how you generate these things. It is a very timely book because if we are moving into a period of public sector austerity, the capacity to look after each other will need to become much greater. So this ‘hidden wealth’ as he calls it, this ability and desire to look after each other, to build strength in communities – and also people’s resilience – will become more important. There are certain things that David talks about in the book that you find yourself repeating again and again. For example, the reason that the Danes are the happiest people in the world isn’t just because of material circumstances. When you ask the Danes what the most important thing in life is they say ‘relationships’. Whereas the Bulgarians are the most miserable people in Europe. If you ask them, they say the most important thing is ‘money’. Isn’t that inevitable if they haven’t got any? Partly, but it’s not the whole story. The Danes are half as worried as the British about crime, but the crime levels are the same in Denmark and Britain. So it seems to be that the differences between nations are not just to do with their material circumstances or levels of social pathologies, but also to do with a deeper set of characteristics. You could read this alongside The Spirit Level, which is also about why some societies seem to be healthier than others – this is an area of general enquiry at the moment. I think there is a lot of interesting literature out there about national differences. David Halpern also writes something very surprising in this book, which is that in spite of migration, differences between countries are actually persisting or, if anything, increasing. In other words, national character is still a very powerful idea even though nations are becoming more diverse. Does this dovetail with Richard Layard’s ‘happiness movement’? I am all in favour where it means the kind of thing we have been talking about: teaching young people to understand self-control and the real drivers of contentment. The happiness movement is very contested territory. I am rather Greek in this and I go with the ancients, which is to say that happiness is really an aesthetic view of life, to do with having a certain symmetry, a sense of duty and fulfilment. Talking just about happiness always sounds slightly utilitarian to me. There is also the idea in John Kay’s recent book Obliquity, which was also John Stuart Mill’s argument as well, that happiness is like business success and profit in that it’s a by-product – if it’s all you look for then you never get it. Also, what are you talking about? Happiness over what time frame? At what point do you measure your success in life? Is it on your deathbed? Is it now? Your last two choices are novels. 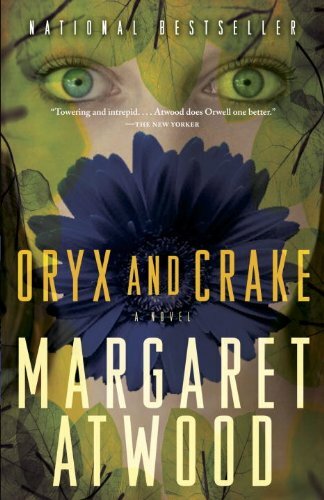 It’s a brilliant book and Margaret Atwood is my favourite novelist. Sometimes I feel a bit guilty about reading novels because I think of it as a bit self-indulgent but she is bracing and makes you think. And lastly, I wanted to choose Dickens because every few years I read one and then I get completely into it and become so moved. It is hard work in a way because Dickens is so intricate, and there is nothing contemporary about his novels really. There are contemporary themes but you have to put yourself back in that world. I see, so we are allowed to read novels if they are improving. I read Little Dorrit last year and by the end of it, which took about three months, I had put a lot of work into the characters, who are completely unlike any of the people that you might meet. Not just because they are living in 19th-century London but also because their eccentricities are so way out – people like us just don’t hang out with people that weird. Yet one becomes so attached to these odd people that he creates, not just his main characters but his supporting cast, who are some of his best creations and those that stay with you. 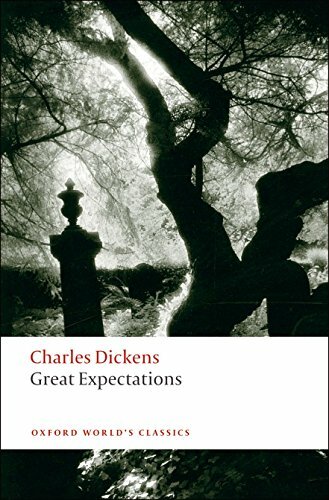 I read Great Expectations at school and it was hard for me to admit that I liked a ‘proper book’ but I did. Afterwards, I also loved the David Lean film, and I read it to my sons at night when they were young. When we started I thought, ‘Well, this is a big endeavour’, but they stuck with it. The younger one fell asleep but could still pick up what was going on afterwards. So I’m proud of reading it when I was young and finding that serious literature can be good even if you are a 14-year-old, and I’m also proud that I read it to my sons. I think I will probably do David Copperfield next. I’m quite an instrumental person and a show-off too, so this exercise is good for me: you can’t show off about reading Dickens because everyone says, ‘Well yes, of course, I read that years ago’. So it’s a discipline for me.